Comparison shopping is a crucial habit to develop if you want to save money on your purchases. And who doesn’t? Being able to quickly compare prices, whether from your couch or at the store, can help you save quite a bit of cash. You’ll make sure you always know where to find the best prices for the items you want. 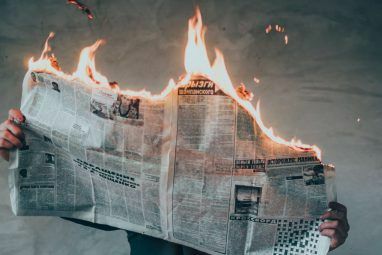 Using browser extensions or websites for this task is great, but if you’re on the go, you’re going to want a good app to get the same kind of information. 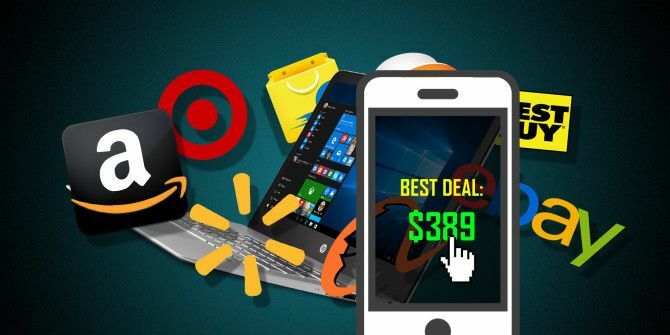 Here are some of the best price comparison apps for Android and iOS. Comparing items with ShopSavvy is easy. Tap the Scan Barcode button at the bottom of the screen, put the barcode in the on-screen box, and you’ll see both online and local retailers that sell the item. You can also use the search tool to look for a specific product if you don’t have the barcode. 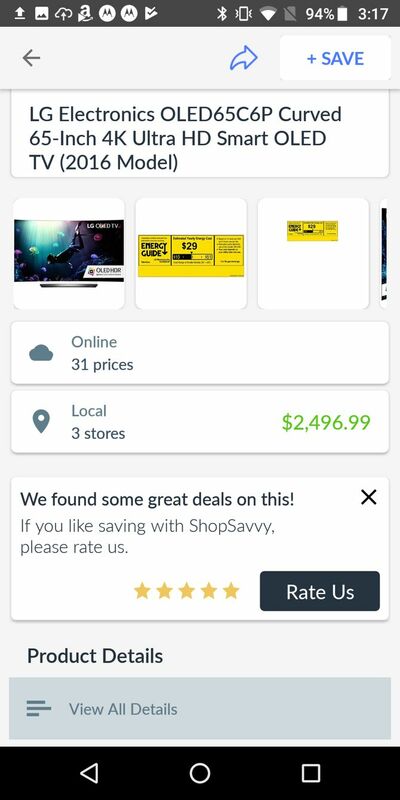 ShopSavvy doesn’t stop there. 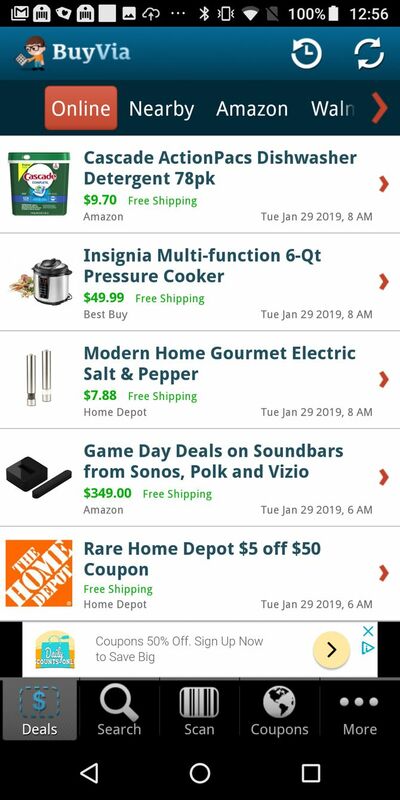 It also lets you set up notifications for certain categories, items, or searches so you get notified when a sale comes up, whether it’s online or in a local store. 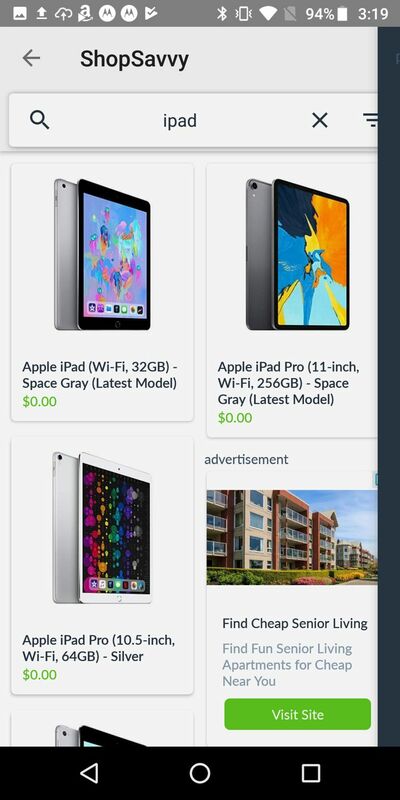 In all, this is an excellent app that lets you shop for deals, browse related products, save your favorite items, and share sales with friends. Another app that offers more than just price comparisons is BuyVia. Use the barcode or QR code scanner if you have a code handy; otherwise pop a term into the search box. Then compare prices from various sellers. 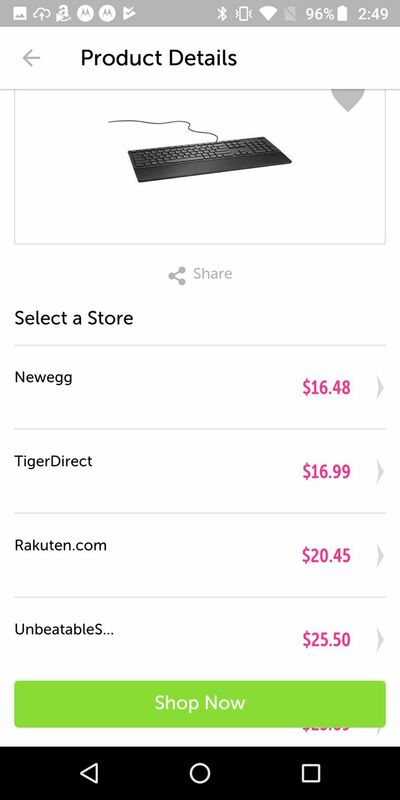 You can shop deals directly from within the app for popular stores like Macy’s, Walmart, Amazon, Nordstrom, and many others. If you grant the app access to your location, you can also check out hot deals in your area. It lets you browse by store or by category. 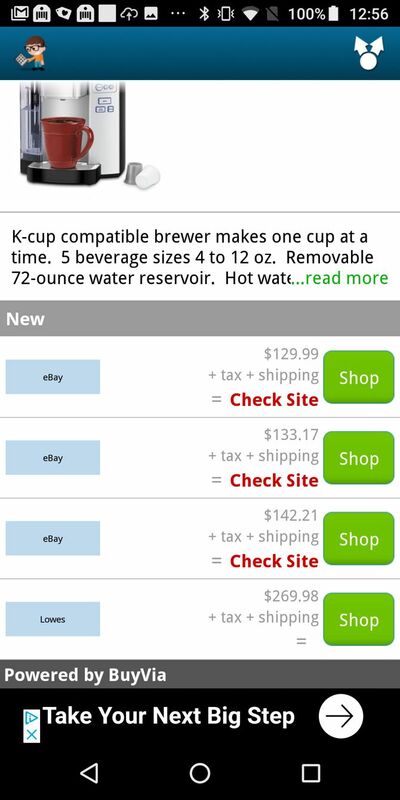 You can get items as large as computers or as small as dish soap, because BuyVia has it all. The app also gives you coupons offered from online or local stores, as well as the BuyVia site. 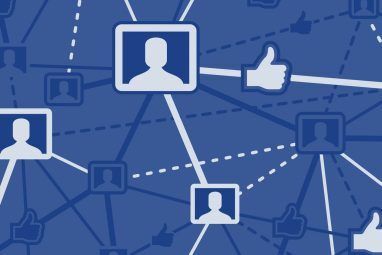 And remember to check out the settings so you can add your ZIP code and how many miles away you want to show local deals. With Mycartsavings, you can quickly search for products to compare prices using the barcode scanner, voice shopping, or search box. Then scroll to see the prices offered by stores like Amazon, eBay, and Walmart. 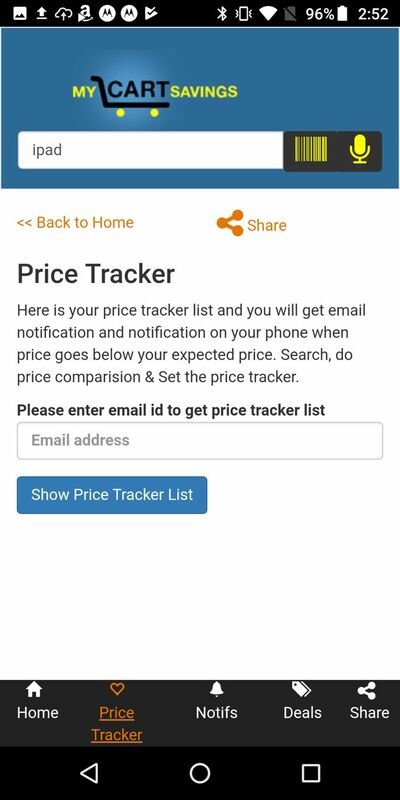 Mycartsavings also gives you a price tracker to receive alerts via email. You can do this by particular product and store. 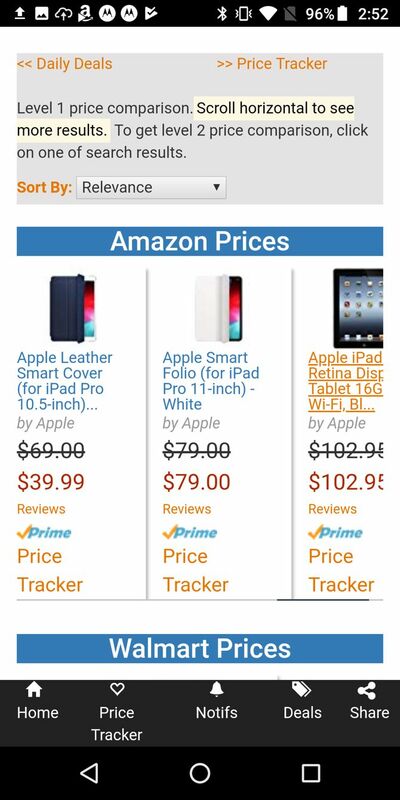 Plus, you can see notifications for daily deals, special promotions, and coupons for popular online stores. If you decide to make a purchase, you’ll be directed straight to the store. 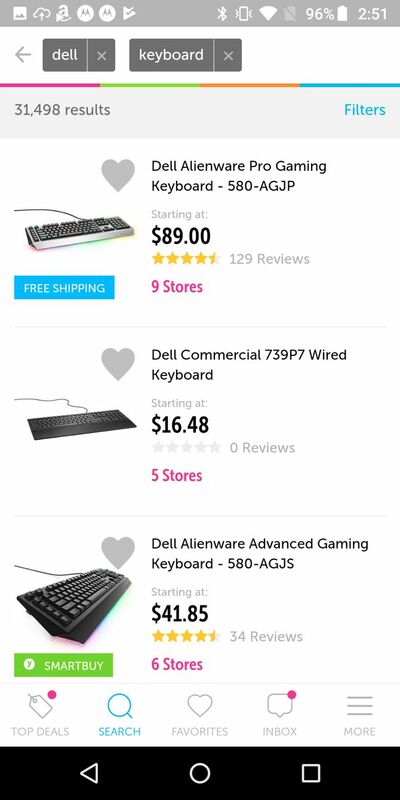 By the way, if you compare prices on your computer too, make sure you have the best price comparison websites bookmarked. Yroo is a slick app that’s quite easy to use. Find your product by scanning a barcode or a general search. You can then immediately see how many stores offer the product and simply tap to view their prices. If you’re ready to buy, you’ll be directed straight to the appropriate store. Yroo also offers features like flexible filters for your product search results. You can add and remove product features to narrow your search, or use filters for store or price. This way, you’ll find the exact item you want. You can also check out top deals from Amazon, eBay, and Best Buy, save your favorites, and enable notifications so you never miss a beat. SoftShopper for Android lets you scan a barcode or search for an item by typing or speaking. You’ll then see results for stores, with the product in a clear grid format. Tap to head straight to the shop of your choosing to make your purchase. 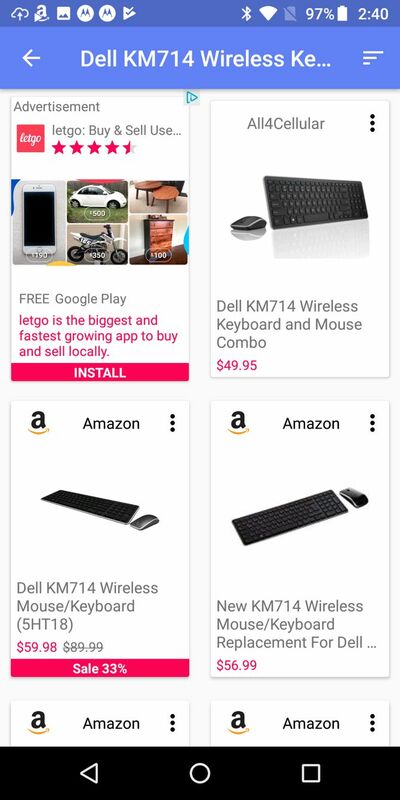 The app has a convenient feature to search for similar products, plus filters by price, retailer, or biggest savings first. It also lets you browse ads and coupons from stores like Best Buy, Target, Rakuten, and many others. Tap the Big Savings button at the top to see terrific deals, best sellers, and store-specific promotions. 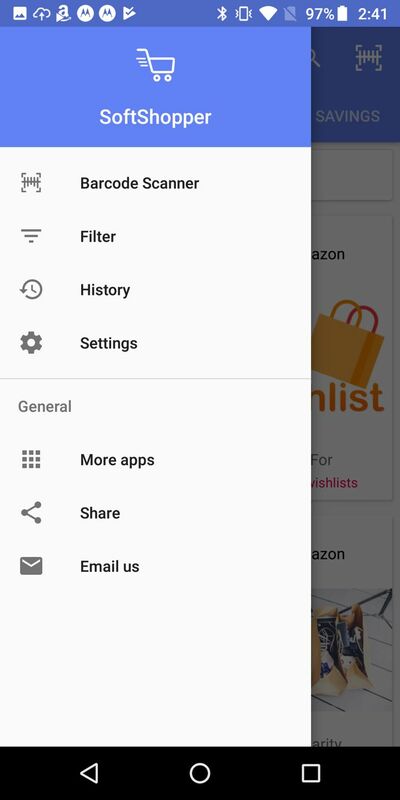 SoftShopper has settings you can adjust for keeping your search history and receiving notifications for the best deals, deals at your location, or both. No matter what you’re shopping for these days, why spend more than you have to? And when shopping online, comparing prices couldn’t be easier than it is with these apps. Stay home, shop from your couch, and get the best prices from popular stores you love. For more help with your purchases, take a look at our complete online shopping guide The MakeUseOf Online Shopping Guide The MakeUseOf Online Shopping Guide Learn how to hunt sales and use the latest websites and tools to do online shopping the right way. Read More . Explore more about: Android Apps, iOS Apps, Online Shopping, Price Comparison, Save Money. Even I was faced with similar issue. Had an old IPod with collection of old songs and new apple account with new collection of songs. Wanted to sync old collection to my new account. This article helped me exactly with that. Thanks. Scan Life has been my favorite for several years for QR codes. Looking forward to putting in a product name and instantly knowing which store within 3-5 miles to go to.